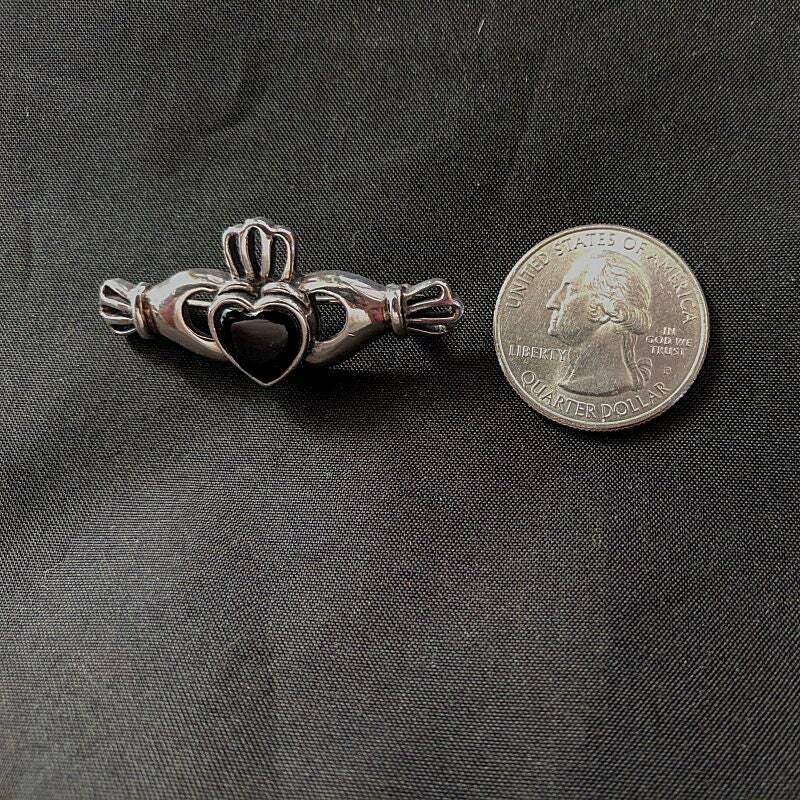 It measures approximately 1 3/4" in width and 3/4" in height including the crown. 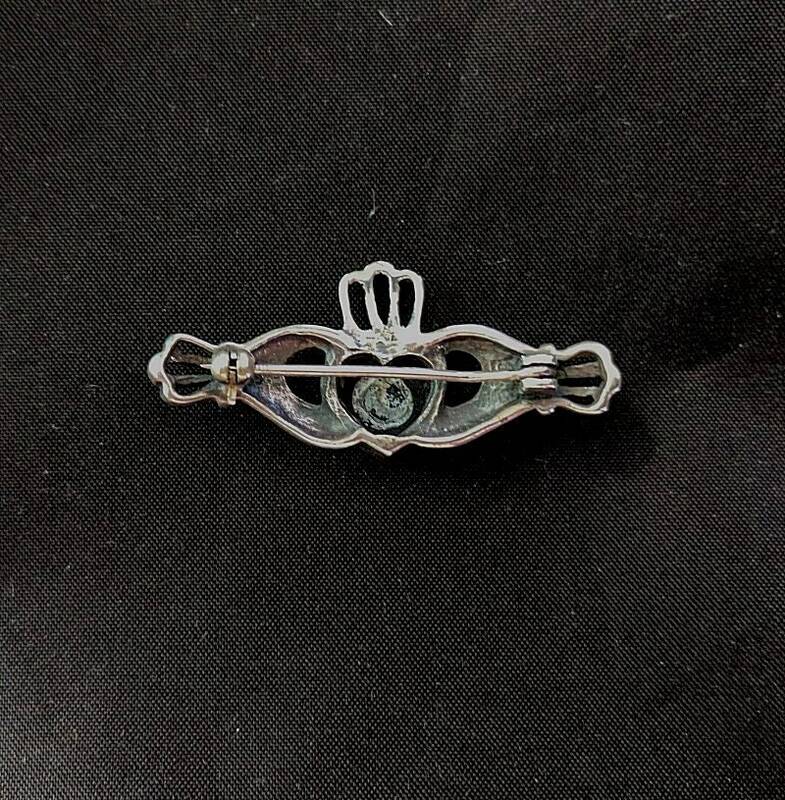 There is a bar pin on the back for attaching to clothing. 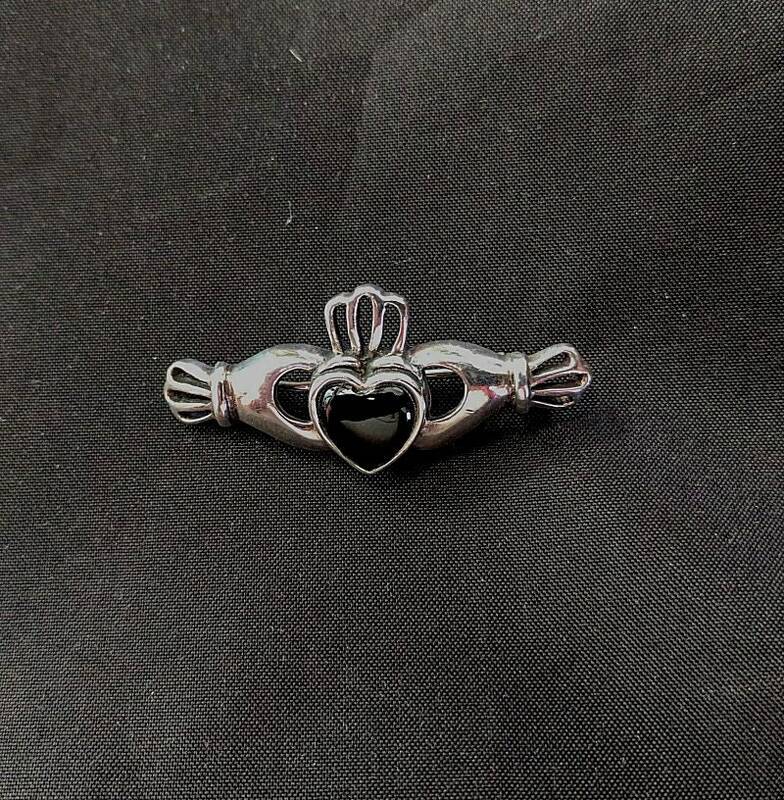 HISTORY: The Claddagh symbol shows a crown above two hands clasping a heart in the middle. 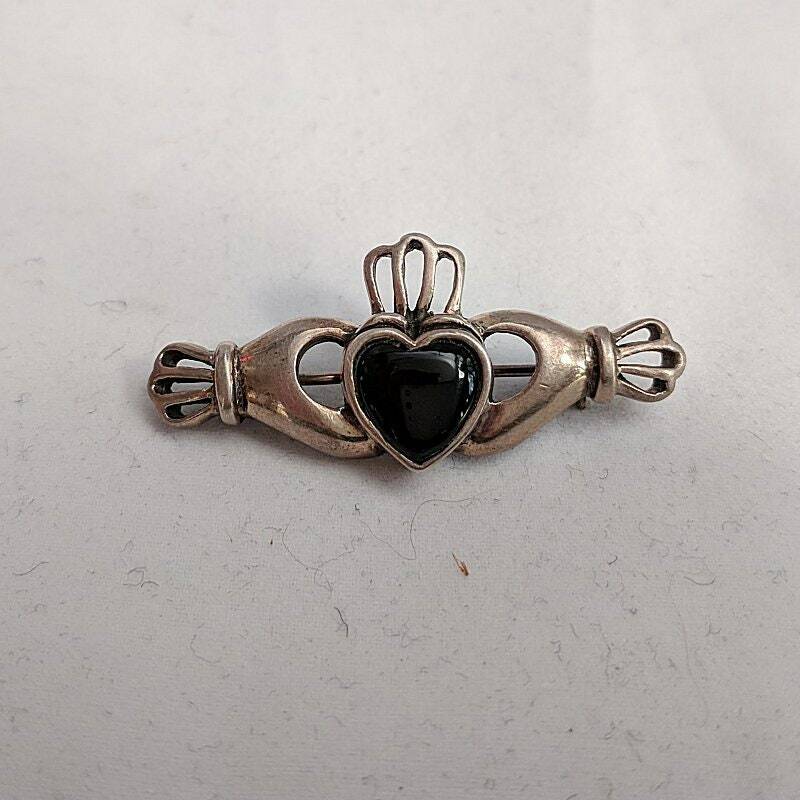 It is an ancient Gaelic symbol which is now a universal symbol of lasting love, eternal friendship, and loyalty. It was first designed around 400 years ago in a small village near Galway, Ireland. 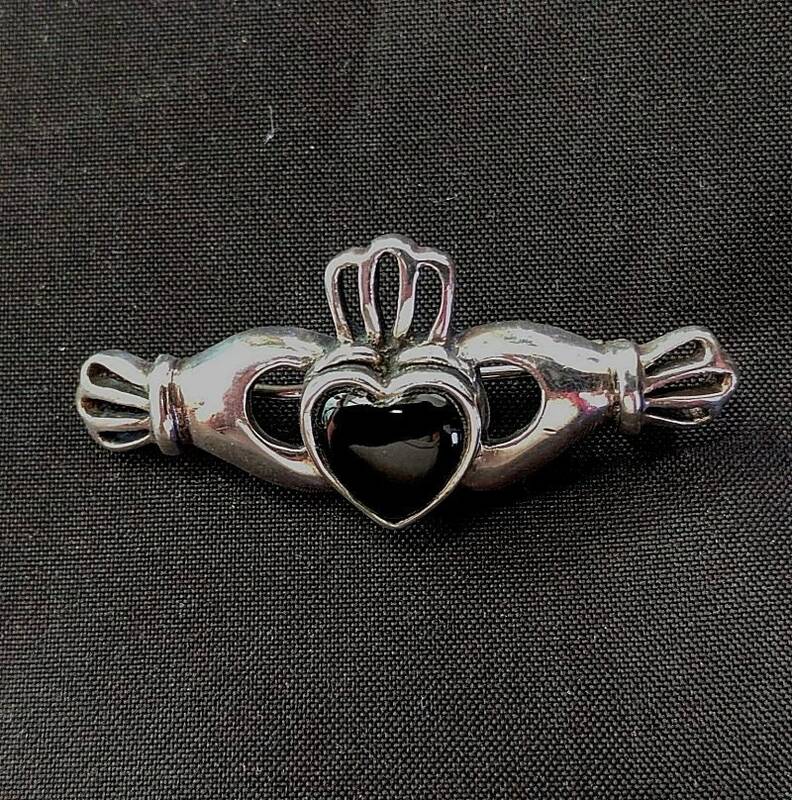 The Claddagh is often placed on wedding bands to represent holding a lover’s heart in one’s hands.